Since I was a small boy when our parents took us ‘home’ to the west coast of Ireland for our August Summer holidays, through to later taking our own children, and now more recently introducing our grandson and son-in-law to the west, it has always been to me a special, magical and almost spiritual place. 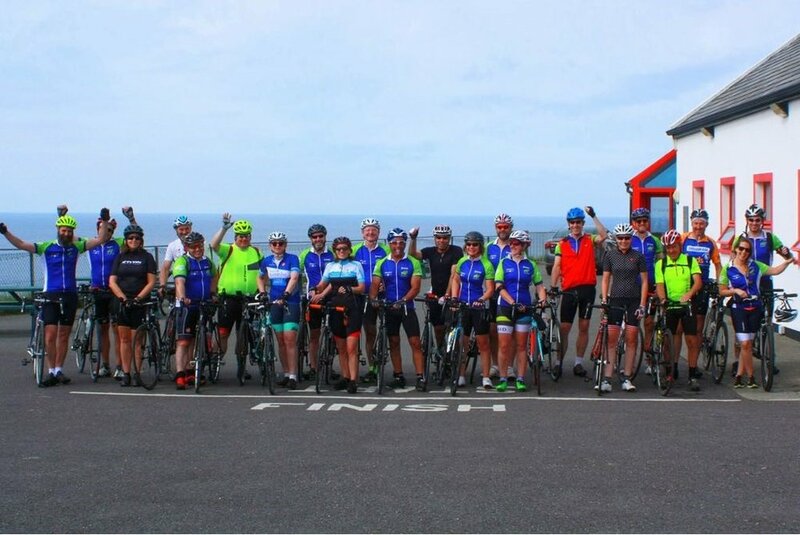 So when I saw the chance to cycle Mizen Head to Malin Head, or MizMal, with Wild Atlantic Cycling it was a challenge and experience that was calling to me! I started to dabble with cycling once I turned 50 in a half hearted attempt to improve my health and fitness, but MizMal was a whole new level of challenge for me now in my latter 50’s, with 570 miles to cover in 7 days! I knew I needed something more to inspire me through the necessary training in the lonely winter months so, as a further return to an emotional past, I decided to do the challenge for a charity - Sands, the stillbirth and neonatal death charity. 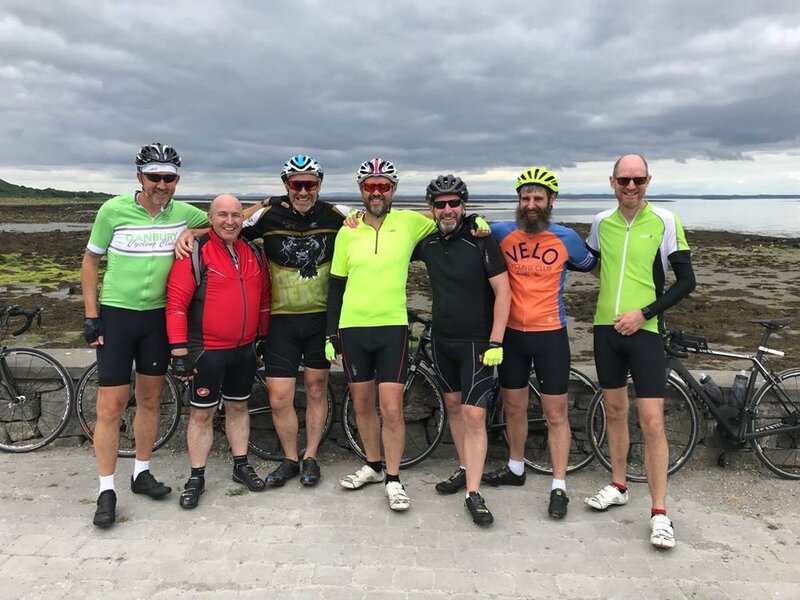 There were 22 of us who met on that first evening in the hotel with small talk conversations, and we headed off with a mixture of excitement and trepidation the following day from Schull via the Mizen Head to Killarney. Some came with existing friends in groups of 2’s and 3’s, many from the UK, a few second generation Irish like myself going back to the country we love, 3 came across from the USA, and one from Switzerland, with only the one living in Ireland today – that was Kenn who turned out to be my riding companion for most of those miles. So it was as a mixed group we started off but by the end of our 7 days, Paul, and his small Wild Atlantic Cycling (WAC) team of the knowledgeable Eric and the lovely Liz, had united us to become such a close knit and happy bunch of lovely, like-minded and extraordinary people who had a common purpose and helped each other to Malin Head; a bunch who forever will be close whenever our paths may cross again! We were of all abilities and ages some stronger than others, some who had cycled Lands End to John O’Groats, a pair on ‘honeymoon’ on a tandem, and others who were fairly new to cycling and whose training had not been as diligent as they intended! 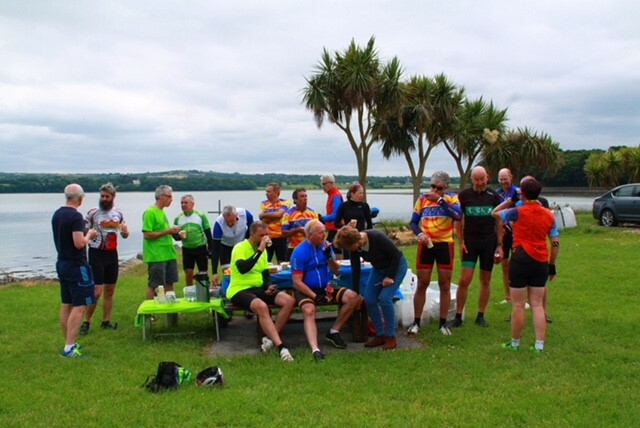 So whatever the ability there was always someone to cycle with and we all caught up and shared stories at the end of each day, or as we passed at tea or lunch stops! In our 7 days we were treated by Paul and WAC with meticulously planned, cycle-safe routes, that Paul has personally ridden and researched himself, leading us through simply stunning scenery. We had scenic mid-morning team stops and picnic lunches, and when it rained we had warm soup and sandwiches in pre-arranged friendly pubs, ending each day at well-chosen hotels. For our first three days from Schull to Killarney, and then onto Spanish Point in County Clare, and from there to Galway we were spoilt by wonderful weather, and the stunning wild beauty of that first day from Cork into Kerry will stay with me forever as we travelled over the Caha Pass, Moll’s Gap, into the Black Valley and then up and down the Gap of Dunloe. The west coast hit back on our 4th day into Connemara as rain and high winds meant we did not see Killary Harbour and Sheeffry Pass is all their splendid glory, but you know what - the true challenge of this adventure is experiencing all of the Irish weather, from blazing sunshine, through to pouring rain! Indeed if we did not have the rain I would have rather, masochistically, been rather disappointed! 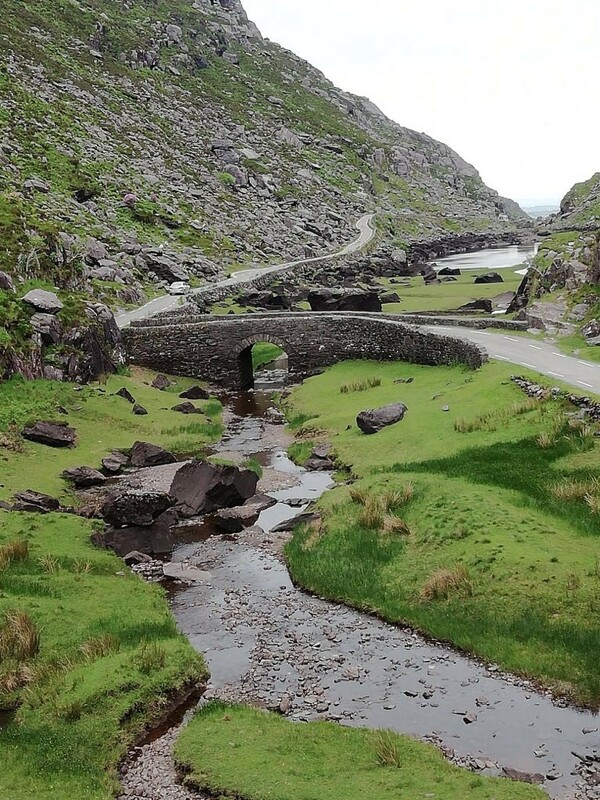 You can have Majorca, Italy or France cycling holidays, with their reliable weather, as the sense of achievement doing MizMal exceeds all of them, with the added benefit of Ireland’s own wild and beautiful coastal scenery, warm Irish hospitality and pubs serving smooth Guinness! 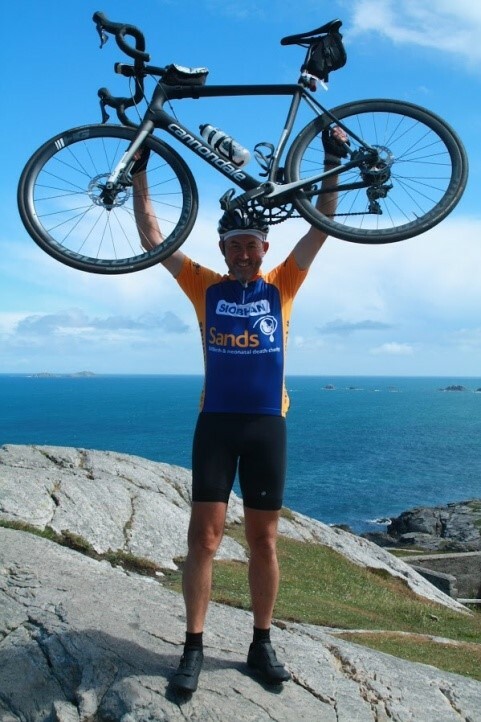 I had never been as far North as Donegal or Malin Head, but I will be back there as those final 40 miles from Buncrana to the finish at Malin Head exceeded Day 1 in many ways, not least because it also included Mamore Gap, which is an iconic Irish climb. 1.1km, 12.4% average gradient and 22% maximum gradient!! I somehow managed to do it without putting my foot to the ground though nearly burst a lung in doing so. I honestly don’t think I would have made that climb without the Sands cycling jersey bearing our daughter’s name as thinking of Siobhan got me to that top, where I don’t mind saying I shed a couple of tears! It was then onto the finish at Malin Head which I expected to be at sea level – but no as there was one more hill to conquer before hugs, more tears and celebrations at the end! The relaxed, fun and safe atmosphere created and led by Paul is an added and unexpected bonus – he brings a warm personal touch with the ‘Paul Kennedy’ factor. With the truly exceptionally special group of people this challenge attracts, it all goes to make this one of the most memorable experiences of my life. For me the experience was enhanced by my own emotional ‘journey’ doing this for Sands, and in memory of our daughter Siobhan! Not only are you immensely proud of your achievement to complete this tough challenge (whatever your ability) you will also have so much fun along the way and be creating lifetime memories for you to bank and be so proud of, whilst being excellently cared for by Paul and the WAC team - I cannot recommend it highly enough, and if you do it for a charity close to your heart too you will simply enjoy it more! Thank you so much Paul, WAC, and all my fellow June 2018 MizMal riders.